When our babies are babies, we photograph and document every change in their behavior and appearance with photographs. When they are seniors in high school, we create one magical moment and try and stop time at the end of this chapter in their lives. What happened in between? Growth, change, confidence, heartbreak, success, love, friendships? Couture Kids is a line of portraits for kids ages 6-16. 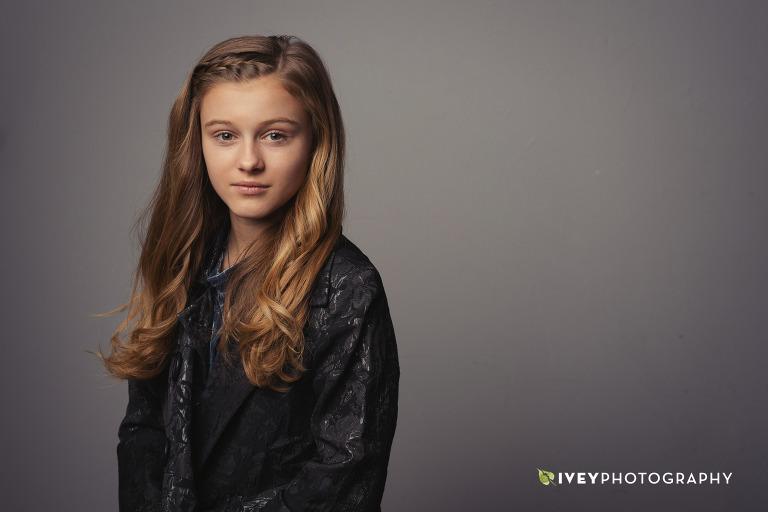 At Couture Kids by Ivey Photography, we photograph the ages 7 – 16. 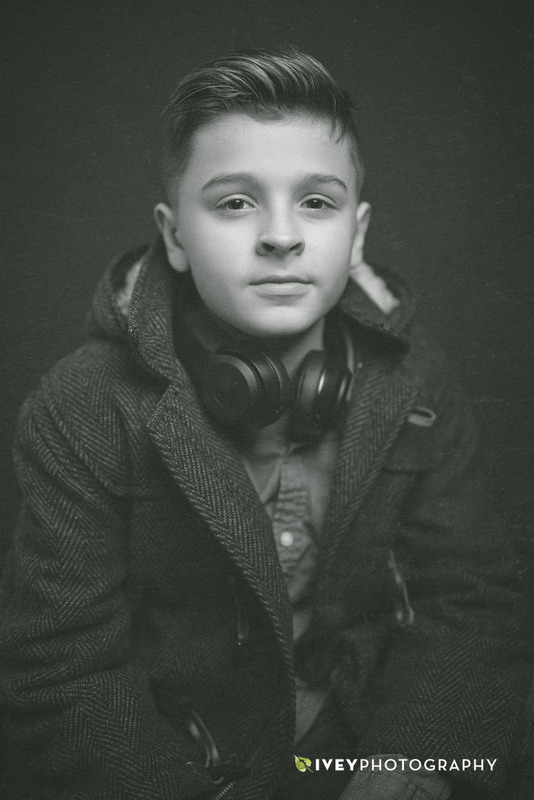 The majority of kids we photograph are 4th grade through 9th grade. Capturing what is important to you is the most important focus. Capturing, who you are in a creative, editorial way, is the Couture Kids focus. Everyone is different, and we want to showcase their unique personality and style. If you have any activities that you love, we can incorporate them into your photo session. Not only does this tell everyone who you are as an individual, but it is also something parents want to cherish as well. 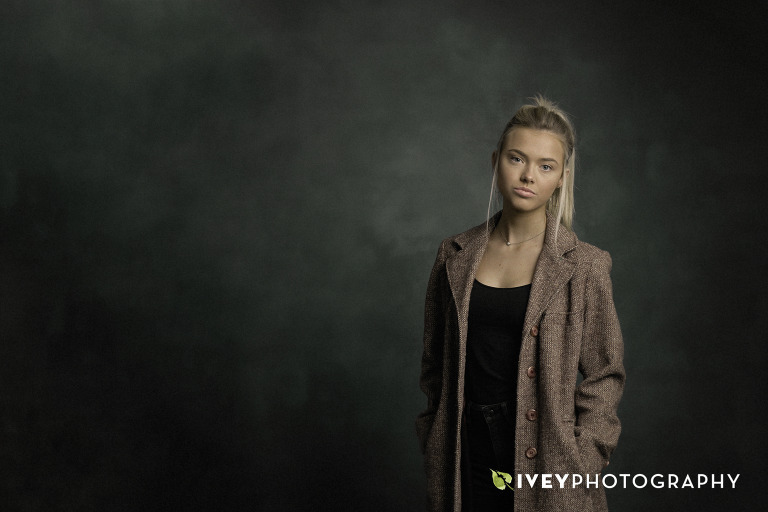 Most of our images are made in our studio, although we certainly can add a location session for an additional charge. Our style is different than any other genre we photograph. We use a lot of tonality and texture in our Couture Kids images. The products are presented in a simple way, using a museum gallery style. We hope you’ll come in for a consultation to see our work in person. The fine art papers and textured canvases we print on are just stunning.